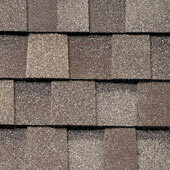 TAMKO's finest laminated, self-sealing asphalt shingles combine the beauty of wood shakes with the durability and fire protection of fiberglass. TAMKO's unique Shadowtone granule blend adds visual contrast and depth of appearance. 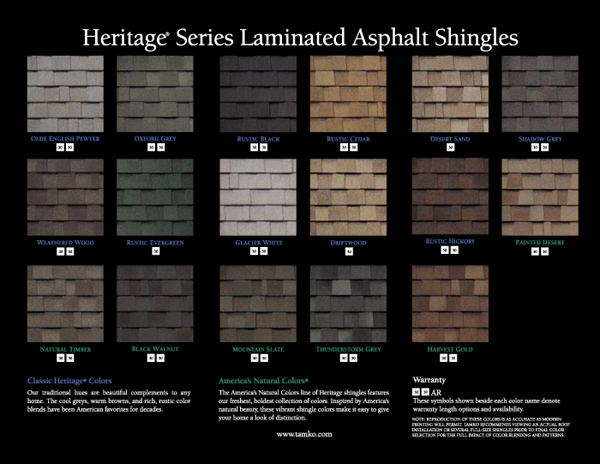 Heritage 50 shingles are covered by a 50-year limited warranty and are UL listed for Class A fire and wind resistance for your home's protection and your peace of mind.